The 2016 USHLS Business meeting was again held at John Bramble’s house on December 03 2016. Because it was a morning meeting and John likes cook with Costco, there was an assortment of hot and cold breakfast treats, coffee, tea, juice, and more. There was a ton of leftover for some reason. The meeting went as most meeting do…approval of the last year’s minutes, Treasure’s Report (thanks Shawn), get more coffee, reports on the past year’s activities, etc. Reports of note were: the Treasure’s report showed that we are doing pretty well financially, the report on the new Policies and Procedures lead by Claire Hamasu, a big effort and big step to becoming a full fledge organization, and the Marketing team reported a very active year with adding our presence to the social media world and designing cool pens to promote USHSL. Probably the most fun at these meets are looking forward and planning what to do next. Lots of great ideas were shared. John will be developing the core benefits of membership. Things like presentation practice,resume/CV review, job interview practice, recruitment of librarians into health science librarianship, mentorship, member meet-ups, grant writing, letters of support, etc. Stacy is looking into how to spotlight members and what cool things they are doing plus put a spotlight on non-members as well. Shawn is planning activities around October Health Literacy Month and seeing about joining forces with ULA, Health Literacy Coalition, etc. Claire is working on member-meetups where library tours and social. Nena will be working with Shirley to develop content for our social media posts.Shirley was not able to come but would like to add a consumer health column to the website, monthly Facebook/Twitter chats that focus on consumer health, data, precision medicine. She’d like to see professional development resources focusing on data science and its role in health care delivery. Tell other health science librarians about our social media sites, and let’s stir up some interest! On November 14, USHSL members met to report on the past year and discuss plans for 2016. We reviewed activities and budgeting. Claire led an effective group activity that got us excited about projects for the upcoming year. Thanks to John and his family for hosting the meeting in their home and providing a delicious pancake breakfast. 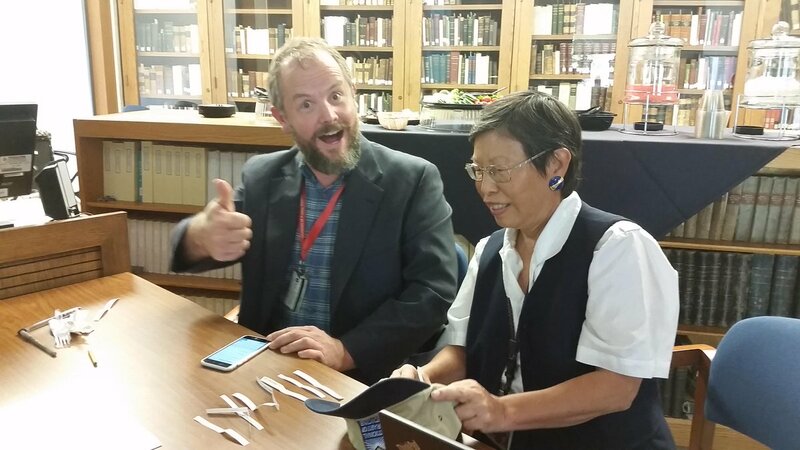 Claire graciously took minutes, which members only can view via Google Drive. USHSL members can access the minutes by by writing the USHSL email address (ushsl.contact@gmail.com) for viewing permission and then clicking this link. 11:00am – 11:10am: Vote for Incoming Chair. This is a 3 year commitment. One year as incoming chair (duties will be negotiated and added to Procedures Manual) and 2 years as Chair. 11:55am – noon: 2016 Business Meeting – Pick a date and location – please bring your calendar! Please think of people who would make good members of USHSL and send their names and contact information to John Bramble at ushsl@ushsl.org. Also, be sure to let John know if they are coming to the meeting so that he can plan for food and chairs. “Come to the USHSL meeting,” says the short stack of pancakes. After several attempts to coordinate members’ schedules, there is an agreed date for the next USHSL meeting. Please note that a delicious pancake breakfast will be provided. Please encourage potential members to attend. Stay tuned for the meeting agenda! 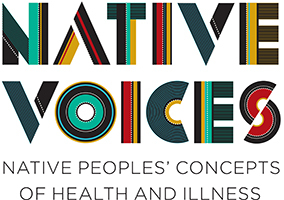 The National Library of Medicine has a traveling exhibit, “Native Voices: Native Peoples’ Concepts of Health and Illness,” on display at the Eccles Health Sciences Library from September 1-November 8, 2015. On Wednesday, October 14 at 12:00-1:00 PM in the History of Medicine Room, there will be a presentation about this exhibit to increase awareness and invite discussion about cancer among Native American peoples. RSVP to the event here. MCMLA held their annual meeting virtually this year. It was a huge success!